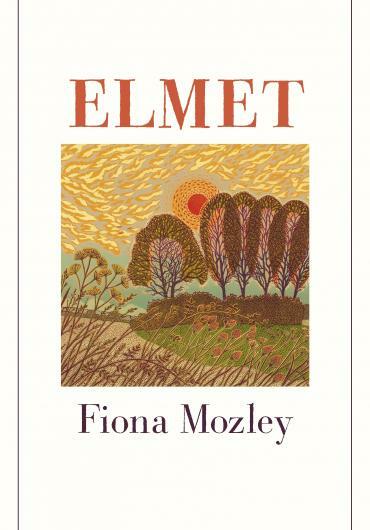 Elmet is a contemporary novel, set in rural Yorkshire, yet it seems to take us to a different time and a different world. The reference to Ted Hughes’ poetry collection (Remains of Elmet) in the title of the book is pertinent to the deeper connections to nature and to times long past, and Daddy, the central character, and his children all have a sensitive respect for the natural world and the creatures they kill yet care for. As soon as he had shaken off his boots, his Goliath arms pulled me into an embrace and I wondered what it would be like to touch a real whale, and knew that, despite what Vivien had said, Daddy was both more vicious and more kind than any leviathan of the ocean. Daniel lives with his father and sister in a house in the woods, on land not owned by them, but to which their father believes they are entitled. This is challenged by Price, the powerful local landlord, and a battle emerges which seeps further into the community and behind which deeper resentments lie. Cathy, the narrator’s sister, becomes an angry young woman, very capable of looking after herself. In the scene where she is learning how to use a bow, we can imagine another Katniss Everdeen, from The Hunger Games (Suzanne Collins), surviving in a dystopian world because of the skills her father has taught her, and looking out for her younger sibling, the gentler and more introspective Daniel. Yet her very presence provokes challenge in some, which only determines her growing self-awareness further and to devastating effect. Daniel has also learnt essential survival skills, though his are more domestic and he has a yearning to read and to learn from the world of books and his teacher and friend, Vivienne. In the midst of their struggles, he grapples with his own questions of adolescence, sexuality and suppressed grief but from the beginning, the reader wonders what has led him to his present day journey, building our curiosity as to what has happened to bring him to his search until the dark and awful truth is revealed in an absorbing climax. 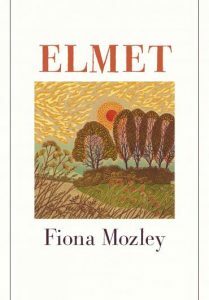 Elmet illustrates the difficulties of trying to live in a separate world and how people can rarely be left to live the way they choose without judgment. It also leads us to examine past societies, to realize that our time of strength and influence in the world is not permanent and that fear and prejudice can lead to unjust accusations and turn whole communities against individuals. This is also a compelling examination of father-child, brother-sister relationships, in some ways similar to themes explored in James Kelman’s Dirt Road but there are hints of a horrendous outcome, as a father fights for his own and his family’s survival. The story is beautifully written, with powerful imagery taking the reader far down into the intense world of Elmet, almost touching those Thin Places of the ancient Celts, where “the eternal and temporal touch” (John Crossley Morgan), but the fight for survival and justice remain the central themes of this moving debut novel with undertones of medieval morality.